"Creature from the Black Lagoon" Oil Painting, Movie Billboard. 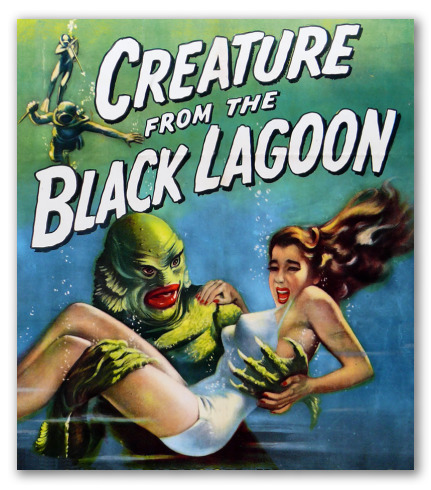 Painting of "Creature from the Black Lagoon", an American horror movie classic in black and white, filmed in the 50's. Its colors and shapes recall the Pop Art of the 80's. Ideal for creating an ambiance of freshness and modernity.